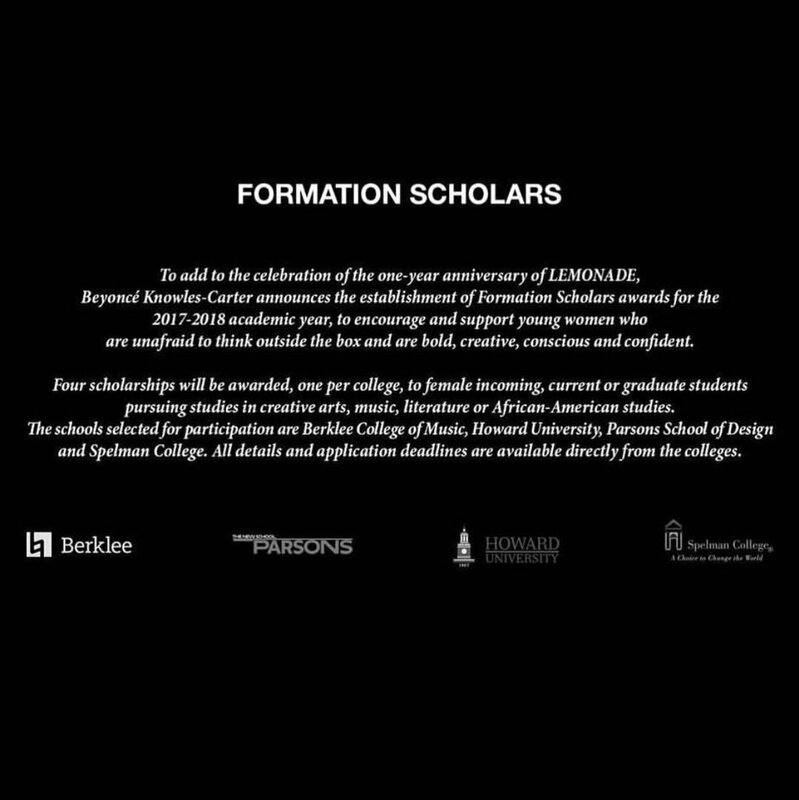 BHR Hollywood Reports..........Beyonce has Created a new scholarship program that helps young women. 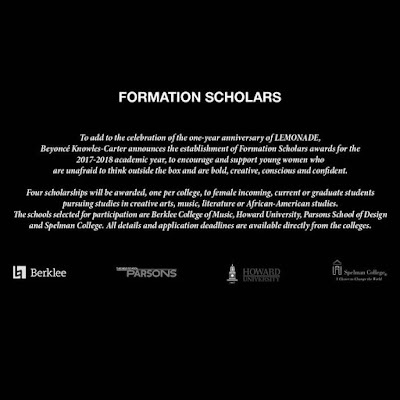 In honor of her one year anniversary of her album Lemonade, Beyonce has announced "Formation scholars". A new scholarship program to help young women going into the 2017-2018 school year. The scholarship fund to "encourage and support young women who are unafraid to think outside the box and are bold, creative, conscious, and confident. The Scholars will come for four different schools : Berklee College of Music Howard University Parsons school of Design and Spellman College. At this time it has not been revealed how much money will be going towards each scholarship winner.